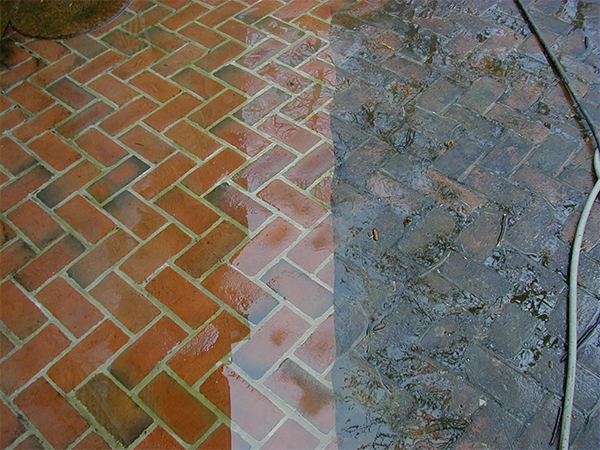 Exterior cleaning services to residential homeowners and commercial businesses throughout Farmingville Long Island NY. With over 30 years of experience in the home cleaning industry, Brower & Sons is your source for quality power washing, pressure cleaning, and exterior property restoration needs. When choosing the expertly trained professionals you want to entrust with all your handyman chores, while providing you with peace of mind, and with a budget you can afford, look no further, contact Brower & Sons, we will make it our priority to make sure that all your needs are met. If gutters get backed up by fallen leaves or other debris, they can end up damaging the foundation of your house due to water back up, so it is extremely important to have them cleaned out seasonally, especially after fall. Also, it is very important to water proof and seal your deck, since excessive sun rays, heavy rain falls and snow, so is to avoid any damage that may arise. A family owned Handyman Company you can trust, within your local area of Farmingville, and around Long Island, who will ensure that all your needs are met to your satisfaction, because at Brower & Sons, our Customers Satisfaction is our top priority. Call us today for a free estimate on: 516-889-7926. For MONEY SAVING coupons for our Farmingville power washing, gutter cleaning, chimney cleaning, window washing and repairs click below.